After a routine blood test detected I had a Vitamin D deficiency about two years ago I’ve tried every remedy under the sun including supplements, but nothing as yet has worked. As I’ve written previously I’m sure my depression and chronic fatigue is made worse by hormones and a vitamin D defieciency. So is it something we should all worry about? Vitamin D is an important but often overlooked vitamin which is needed to keep your bones, teeth and muscles healthy; it’s crucial to get enough vitamin in order for your body to regulate calcium and phosphate. Unlike most vitamins it functions more like hormone and every single cell in your body uses it. How do I know if I might have a deficiency? If you have any concerns that you may be deficient please go and see your GP/doctor – they can run a quick and simple blood test to determine whether or not you may need a supplement. fish such as sardines, salmon, mackerel and tuna. It is recommended that you have at least two of these a day plus sunlight in order to keep levels topped up. How much sunlight should I get a day? The general consensus is 10 minutes a day but in the UK the NHS suggests this can differ dependent on skin colour and how much skin you have exposed. As always, please make sure you are wearing adequate sun protection, even through the winter months I always use a day cream with at least SPF 15 to protect my skin. I’ve tried a number of supplements over the years and find that anything in tablet form doesn’t agree with me however I find the drops such as Fultium daily D3 work really well and help keep my levels topped up. It is possible to get too much vitamin D, so you should always check with a medical professional before taking any supplements and always be mindful that any supplements can interact with medication, so check with your doctor or pharmacist. 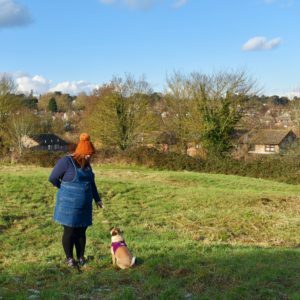 I hope you’ve found this interesting – I’ll admit it’s very different from my usual posts but I’ve really enjoyed writing about an issue that I suffer with in the hope it may help others. Do you suffer from a vitamin D deficiency? What are your top tips?